Time was, teaching children how to manage money was as simple as handing them an allowance and helping them to open a savings account when they were old enough. But while that old strategy may have taught kids the value of saving, it didn’t show them much about the power of investing — or about negotiating today’s complex financial world. Financial gurus from various paths point out that building wealth and creating long-term prosperity doesn’t depend on age. 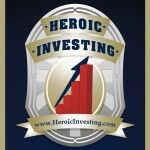 And as Jason Hartman demonstrates in his own career and his advice to young investors, smart strategies and good money management can build a successful investing career with lifetime benefits. Helping kids get on the right track about bulling a stable financial future should start early, experts agree – but in most cases, that doesn’t happen. Parents, who may not have the best financial skills themselves, may not be prepared to teach children much beyond the basics of the old paradigm. And the growing power of the Internet as an online marketplace makes things even more complicated. But educators and financial experts alike agree that children need to become more money-savvy at an earlier age – and that should include some familiarity with the principles of investing too, with hands on practice wherever possible, either through games or actual dealings in the real world. Young children can begin learning basic concepts like saving and interest with physical money – bills and coins that can be stacked, added to and subtracted from to teach those simple ideas. Opening a savings account can be a big part of that kind of learning, too, allowing kids to track the progress of their money through a banks monthly statements along with deposits and withdrawals. Older kids can get their feet wet with investing through easily accessed small stock transactions along with the basic savings account. 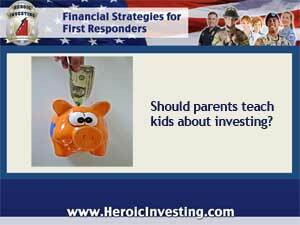 If a parent is an active investor, they can discuss investing decisions and strategies, and participate in making choices. Money smart kids need to know a few other things, too. Managing credit and establishing a good credit score is essential for future success in investing – and many other things as well. A teenager going on a spending spree with a parent’s credit card is an old cliché – but helping kids to understand borrowing and the wise use of credit can lay the groundwork for taking on the kind of “good debt” such as a mortgage or student loan that yield a return. Staying safe online is another aspect of financial education for today’s kids – one that parents may overlook. When shopping is easy with just one click, and even that basic savings account is accessible from a smart phone, older kids need to know how to keep account information secure – and why it’s important.